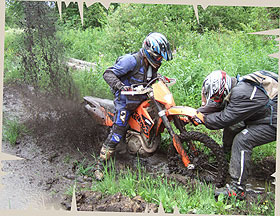 RUSSIA OFFROAD ADVENTURES is the first motorbike adventure company in Russia. Explore the heart of Russia - Ural Mountains - 1,000 km by our new KTM 450 EXC enduro motorbike. Enjoy breathtaking contrasts of this unique country while we take care of your comfort, safety, and all logistics. And to make it absolutely comfortable for you we speak English, Russian, and German. We invite you not only for an exciting off-road motorcycle adventure but also for an insightful journey to a different part of the world. We will do our best to show you what 'Mother-Russia' is really about and we hope to make you open your heart for this specific but at the same time very beautiful country. 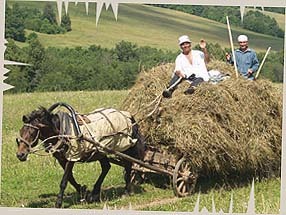 Leave back the illusions of touristic attractions in the glossy travel catalogues, saddle up our steal-hourse, and discover the REAL RUSSIA - the parts most tourists never see. Try to conceive the mystery, power and attraction of the endlessly wide and untouched nature and you begin to understand the ‘enigmatic Russian spirit’. Far from the hectic rush of everyday life, revive the feeling of real freedom and peace of your mind. Allow yourself a well-deserved change and go with us for this unique and unforgetable dirt biking and enduro adventure.